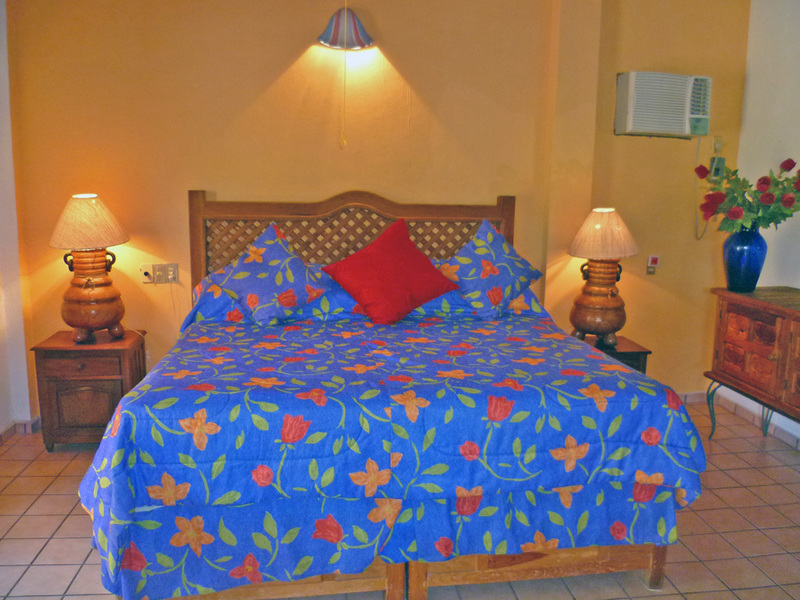 The Garden room has a king size bed and matrimonial bed with a private deck that looks out towards a salt water canal teeming with Flora and Fauna. Generous views of greenspaces, tennis court and main pool area compliment the Garden View Room. Quick access to the main bar area, Lobby and Reception area are the benefits of this room. 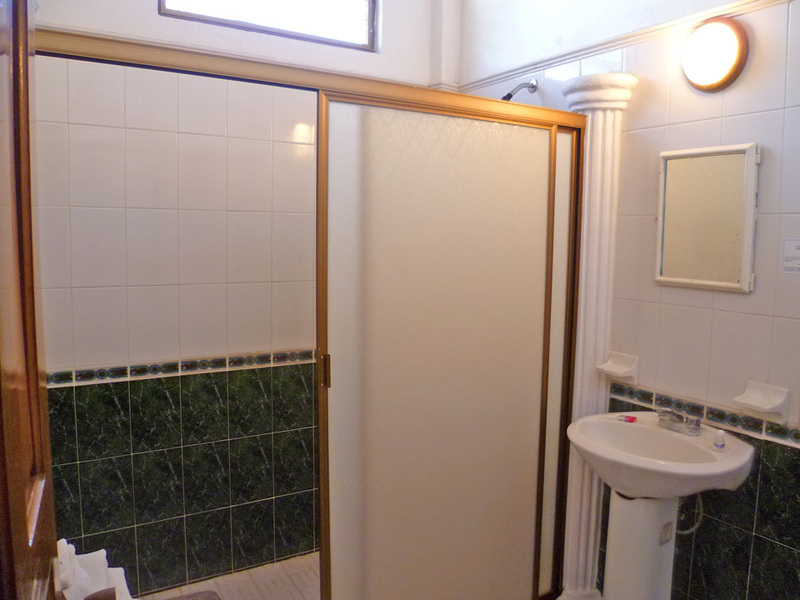 The room has an extra large shower,toilet and sink. 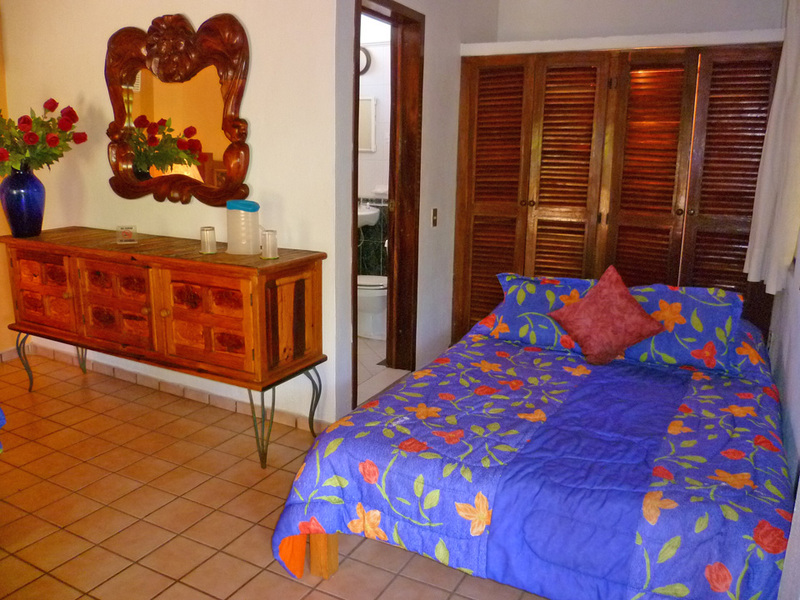 Garden View rooms allow for greater accessibility of the main part of the Villa and can be rented on a daily or monthly basis.The Garden View room is located on the main floor of Villa Corona del Mar.